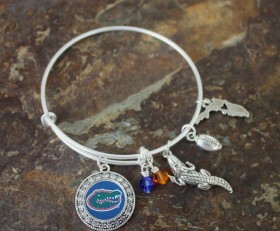 University of Florida Gators fans, this bracelet is a great way to show your love for your team. It is made of high quality sliver plate wire and adjusts to fit all size wrists. 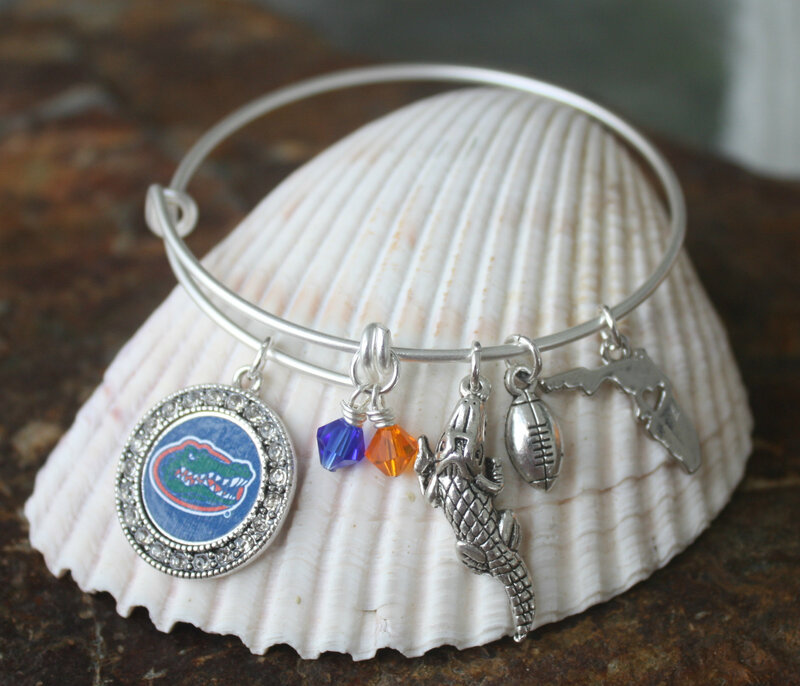 Two Swarovski crystals, the colors of the Gators are on the bracelet along with a Florida Gators logo charm with crystals, a silver gator charm, football and state of Florida charm. 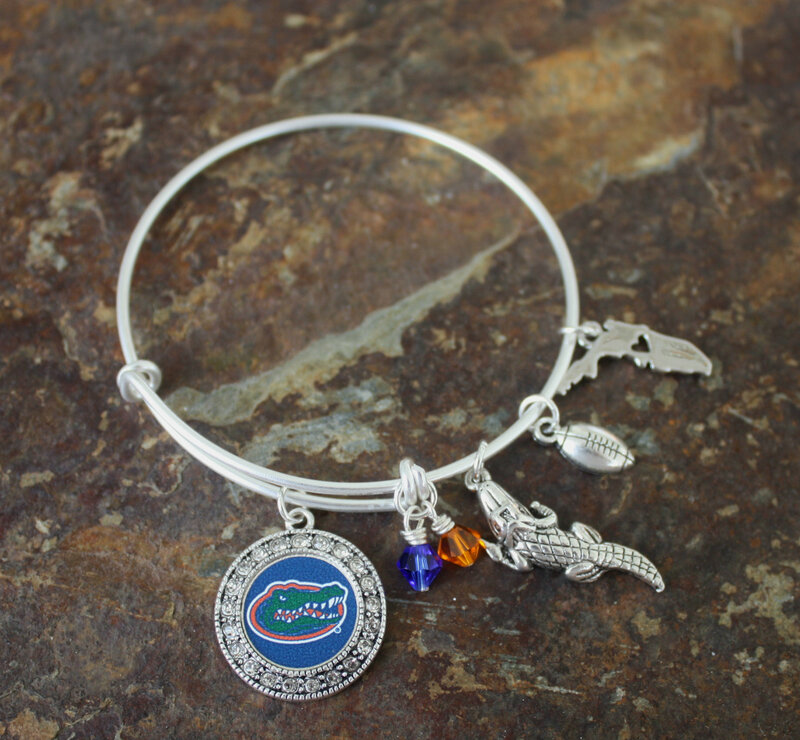 Categories: Bangles, Bracelets, Collegiate Jewelry, New.